I spill my life in these verses and there I find my purpose for living. 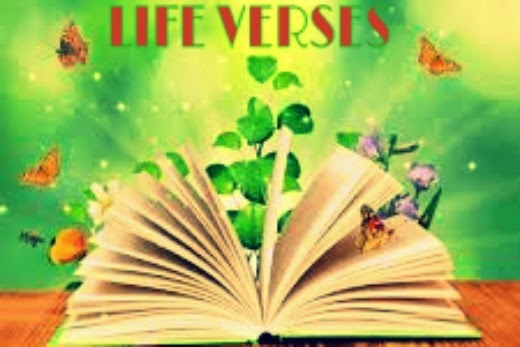 What are Life Verses? Simply, they are the favourite verses that hold deep meanings to us. They are the verses on which our life is built. Life verses are verses where we find our purpose for living. They guide our lives. The following are my life verses. . . However, I consider my life worth nothing to me; my only aim is to finish the race and complete the task the Lord Jesus has given me - the task of testifying to the good news of God’s grace. I will never stop loving him (I replace 'him' with Amaka here) nor fail to keep my promise to him (I replace 'him' with Amaka). I use the New International Version (NIV) Bible. It's originally translated in simple English and very easy to understand. I like! When we walk with the Lord in the light of His word. What a glory He sheds on our way! May September be a month to remember.